Kondraki's Luck: When entering a conflict, roll a 1d1000. Any result but 1 causes the offending action to fail. Man With(out) a Plan: Dr. Kondraki can gain 10 dice to any skill at will, for a single action. The same skill cannot be chosen more than once. Get Shot: At will, Dr. Kondraki will shoot you. He Likes to Watch: Dr. Kondraki can be aware of any event occurring within Site 17. 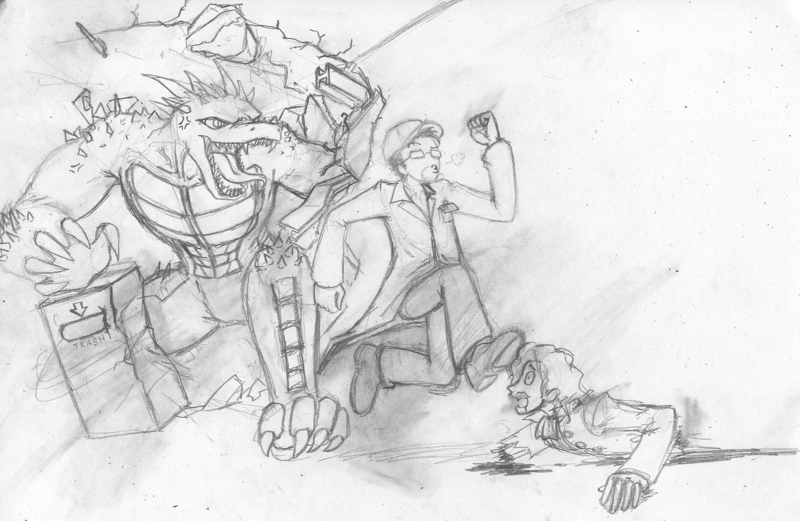 Collateral Damage: Any conflict involving Dr. Kondraki results in significant damage to nearby players or objects. DJ Konman: While within Site 17, Dr. Kondraki can use a pirate radio station to cause memetic damage to any and all personnel on site. Bad Boyz 2: Dr. Kondraki can team up with Iceberg, doubling the potential of the Collateral Damage perk and giving a +20 to combat rolls for the leader. DYNAMIC ENTRY: Dr. Kondraki can enter any scene, at any time, with a flying kick, instantly killing anything it connects with. Can't Live With Him: At a given time, O5 can attempt to terminate Dr. Kondraki. Can't Live Without Him: Any O5 termination attempt will fail, without a doubt. Bull In a China Shop: Dr. Kondraki cannot perform especially delicate tasks well. 50% of utterly destroying the target of the action.